My older son James and his family are back in the States after a 6 year sojourn overseas. They are staying with us for the duration of his wife’s State Department-mandated two month “Home Leave”. We have a 4 year old grand daughter and a 4 month old grand son to get better acquainted with, and so, I will take a couple of weeks “off” from the pleasant but demanding weekly duty of posting to this blog. Let this be an opportunity for any of you who desire to contribute a posting. I’ll happily give you space–and acknowledgment! Don’t hesitate to suggest topics for my future ruminations. Leave a comment, or send me an email. In the nonce, I hope your summer is getting off to a very good start. The hospital story begins with Commander David Farragut’s arrival in 1854 to take possession of the Island and establish a navy yard there. He brought with him a map of the island that specified a hospital site near the geographic center of the island. No hospital was forthcoming, however, as ships–sloop of war Warren, then USS Independence–provided medical facilities for navy and civilian yard workers. By 1864, the need for a land based facility was great enough that local authorities converted an unused granary building to hospital use. This 30 bed facility served as an unofficial naval hospital from 1864 until 1871. Mariano Vallejo’s son Platon, the first Californio to graduate from a US medical school, was one of “eight surgical gentlemen present” to perform life-saving hip surgery there (for a sailor shot during “an anti-piratical action” off the Mexican coast). The first purpose-built hospital, designed by Philadelphia architect John McArthur, opened in 1871. 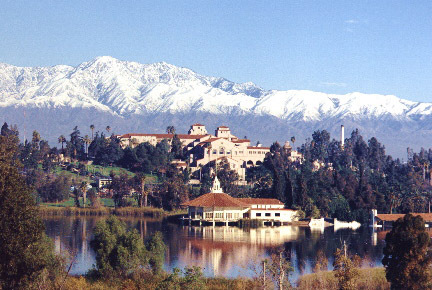 This “palatial” structure is recognized as the first US Naval Hospital on the west coast. It started with candles, kerosene lamps and large windows for light, rainwater collected from the roof into cisterns, bells and voice tubes for internal communication, and a conference room converted for surgical use on an as-needed basis to electric lighting, a continual and reliable water supply piped 25 miles from Green Valley, telephones and electric call bells and a purpose-built operating room–quite some technological revolution! It served until it was seriously damaged in the (6.5, estimated) Mare Island Earthquake of 1898. Congress immediately appropriated funds for a new hospital. It opened in 1901, and is today the central structure (H-1) on the hospital grounds. This was of wood construction: the DC architect W M Poindexter was intent that it should withstand earthquake. The doctors, however, worried almost from the beginning about fire, and militated ceaselessly with the Bureau in Washington for construction of fireproof structures. The first of these, opened in 1928 were H-72 and H-73 (the Sick Officers’ Quarters) to the right of H-1 as you face it. H-80-81, lying to the left of H-1 as you face it followed in 1938-41. Hospital capacity stood at about 870 beds at the beginning of World War II, but had expanded, with the addition of annex facilities, to more than 2300 at its peak. Many famous people visited the hospital during the war. These include Eleanor Roosevelt and entertainers like Bob Hope. The Mare Island facility was named the west coast amputation center for wounded from the Pacific theater of war, and became famous for artificial limbs made of modern materials like plastics. The closure of the hospital had been foreordained as early as 1939, when then-Surgeon General of the Navy Vice Admiral Ross McIntire ordered a search for a new hospital location. The site identified went on to become the Oak Knoll Naval Hospital. The Mare Island facility closed in 1957. Its buildings were later taken over by the Navy’s Schools Command and used for instructional and administrative spaces until Navy Yard closure in 1997. Touro University now owns the hospital structures: the last World War II construction, a recreational facility then named after the hospital’s WWII commander, Owens, is now called Lander Hall, and is an instructional space for the University. The nurses residence with lovely mission style touches, H-78 (1939), now serves as an administrative office building and a student lounge. Here’s an example of how we, as local “content experts” (whether amateur or professional) can help get the accurate historical word out to our communities. Navy Innovations in Burn Care C. 1942. “Flit” was a mineral oil-based insecticide manufactured by Standard Oil Company of New Jersey. The insecticide was delivered by use of the Flit Gun, and was popularized in advertisements created by the then-unknown cartoonist Dr Seuss. 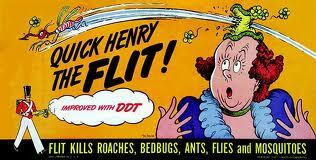 The ads, which highlighted the phrase “Quick, Henry, the Flit!”, ran from 1928 until 1945. (1) A. L. Clifton, Captain, Medical Corps, U. S. Navy, Commanding Officer, U. S. Naval Hospital, Mare Island, Cal. to Rear Admiral Ross T. McIntire, Navy Surgeon General, December 29, 1941, in National Archives I, Record Group 52 (Records of the Bureau of Medicine and Surgery), Entry 15A, Box 122 File NH15 (A1-1 to L9-3) 1936 – 1941. (2) “Medicine: Burns at Mare Island”, Time Magazine, November 16, 1942, found on line at http://www.time.com/time/magazine/article/0,9171,932877-1,00.html, accessed 10 June 2011.
http://www.dmu.edu/departments/academic/Surgery/fund/Fernandez%20Historical%20Evolution%20of%20Burn%20Surgery.pdf, accessed 11 June 2011. (4) Hauben, D J, and D Mahler, “On the history of the treatment of burns”, Burns 7, No. 6, pp 383-388 (1981). (5) “The History of the Medical Department of the United States Navy in World War II – A Narrative and Pictoral Volume” (Navmed P-5031, Volume I, p 64. Washington, GPO, 1953. In earlier posts, I discussed World War II Navy Surgeon General Ross McIntire’s anxiety to have enough beds on the west coast to care for sick and wounded sailors and Marines from the Pacific Theater of Operations, and the steps he took to create the beds required. In this post, I complete the California story with brief comments on hospitals constructed in southern California that became “permanent” facilities. While Navy medicine had a presence in San Diego from 1914 in the form of field hospitals and dispensaries, it was only in 1922 that a proper Naval Hospital with 396 beds came into commission. By 1929 as series of expansions resulted in a bed capacity of 1,030 beds. Wartime construction expanded the facility substantially, resulting in an authorized bed capacity of 10,499 (and a maximum recorded patient census of 12,014) at the end of hostilities. 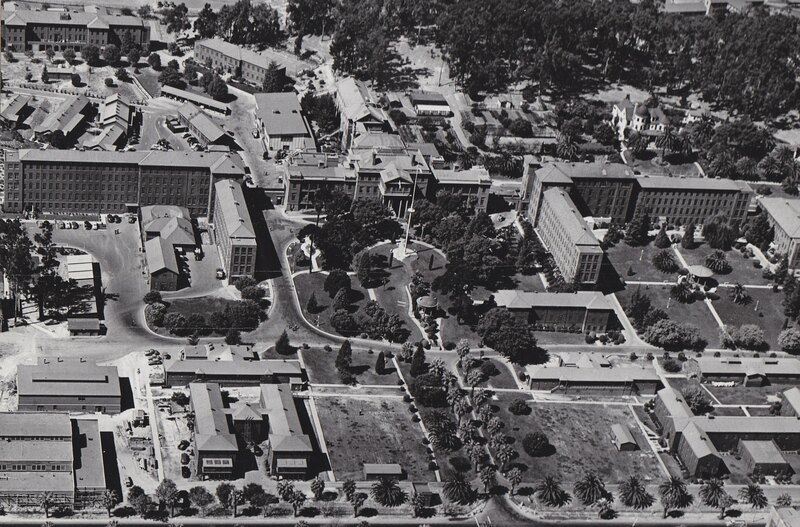 (1) The Naval Hospital moved to its current location in the mid-1980s. This 1534 bed facility, located on the shore of Lake O’Niel on the Camp Pendleton Marine Corps Base, was commissioned in 1943. (2) It survived the end of the war, and served people associated with the base until a new hospital was opened nearby in 1973. Construction of a state-of-the-art 56 bed hospital is currently under way, with an opening date of 2014. (1) Unpublished historical summary of U. S. Naval Hospital San Diego, History Library, U. S. Navy Bureau of Medicine and Surgery, Washington D.C.
(2) The History of the Medical Department of the United States Navy in World War II (NAVMED P-5031, Volume 1, GPO, 1953. (3) CNIC//Naval Weapons Station Seal Beach, About Detachment Corona, http://www.cnic.navy.mil/SealBeach/About/Installations/Corona/index.htm, accessed 2 June 2011. (4) Mayo Naval Medical Units in World War II-Reminiscences of Mark B. Coventry, M.D., May 1970, by permission of May Historical Unit, Mayo Foundation, Rochester, MN. (5) “Norco to decide fate of historic landmark” [Riverside CA] Press-Enterprise, 19 October 2005, clipping. (6) Information on the hospital is hard to find on the internet. I did find an allusion to the new Long Beach Hospital (in which I did a two week Reserve duty in the late 1980s) in this website: http://www.navycorpsmen.com/001.html, accessed 2 June 2011, owned by James “Doc” Rockett. (7) California State Military Department, The California State Military Museum, “Historic California Posts-Naval Station, Long Beach”, at http://www.militarymuseum.org/NOBLongBeach.html, accessed 2 June 2011.